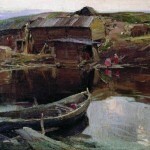 Abram Efimovich Arkhipov (Russian: Абра́м Ефи́мович Архи́пов) (1862-1930) was a Russian realist artist. 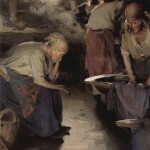 His work often featured women working in often harsh conditions. 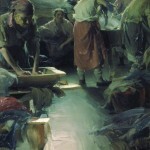 Arkhipov was born a poor peasant. He showed an aptitude for art at a young age and his family scraped together the means to send the budding artist to the School of Art, Sculpture and Architecture in Moscow. While at school, Arkhipov won many prizes for his works. 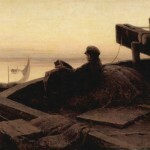 He was a member of the Peredvizhniki (Wanderers) Society, the Union of Russian Artists and the Association of Artists of Revolutionary Russia. 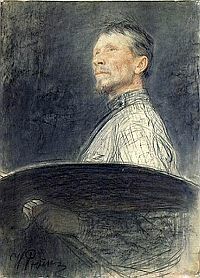 Abram Arkhipov was awarded the title of People’s Artist of the USSR.